Over the last dozen years, more than 30 states have passed third grade reading laws. These laws set standards on how well students must be performing in reading to move on to fourth grade. In most states, these laws apply to all students, including students with learning and attention issues who are struggling with reading. Recognizing this, LDA and NCLD came together to create an infographic and a set of best practices to help parents and policymakers make informed decisions about third grade reading laws and better understand the issue of grade retention. Transition planning and services for adults with learning disabilities (LD) enrolled in adult basic education (ABE), literacy and GED programs must be of paramount importance. There must be adequate planning, services and support to assist students with LD to transition from ABE programs to postsecondary and work environments. The LDA Public Policy Committee is being proactive in preparing for the upcoming reauthorization. The Public Policy Committee developed the platform reflecting the issues that have arisen from on-going discussions held during committee and LDA Board meetings over the past several years. The LDA Board has ratified this platform. Core Beliefs have been developed so that LDA will be prepared to engage actively in debates and discussions on the IDEA reauthorization. The background and reason for the White Paper became apparent when the Individuals with Disabilities Education Act (IDEA) Statute was published in 2004. 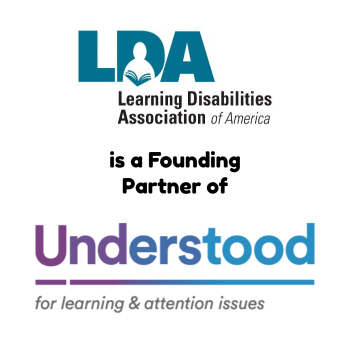 Members of the LDA Board of Directors were pleased that the definition of Specific Learning Disabilities (SLD) remained intact. But when the Regulations were published in 2006, it was surprising to find that the SLD evaluation criteria and identification criteria were no longer aligned with the SLD definition in IDEA. Right to an Evaluation of a Child for Special Education Services Parents who are aware their child is having a difficult time with reading, mathematics, written expression or other aspects of school work might suspect that the child has a learning disability (LD), also known as specific learning disabilities, and may be in need of special education services. As a parent, guardian or advocate, you have a legal right to request that your public school evaluate your child for special education. 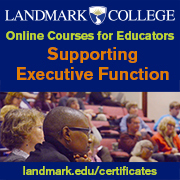 “Full inclusion,” “full integration,” “unified system,” and “inclusive education” are terms used to describe a popular policy/practice in which all students with disabilities, regardless of the nature or the severity of the disability and need for related services, receive their total education within the regular education classroom in their home school. 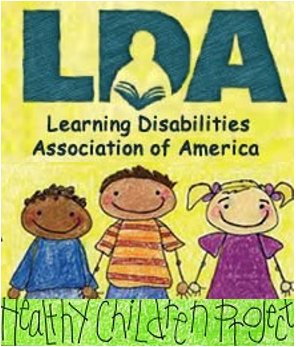 The Learning Disabilities Association of America does not support full inclusion or any policies that mandate the same placement, instruction, or treatment for ALL students with learning disabilities. Response to Intervention (RTI) has far reaching implications for children with SLD. It is imperative that LDA responds to this initiative, supporting those components of RTI which can benefit individuals with Specific Learning Disabilities and identifying other components that are not in their best interest. LDA is concerned about the numbers of individuals with learning disabilities who have not learned to read and are currently not learning to read in school. According to the U.S. Department of Education, 1 in 5 American adults is functionally illiterate. Three-fourths of the unemployed lack sufficient skills to function successfully in the nation’s work force. There are many reasons for illiteracy – one cause is neurologically-based learning disabilities which have not been recognized and/or dealt with appropriately. LDA strongly supports efforts to eliminate violence in American schools. LDA agrees that students, including students with learning disabilities, whose violent behavior is a danger to themselves or others must be immediately removed from the current school setting. LDA also supports current law which ensures that students with learning disabilities so removed remain entitled to a free appropriate public education, as provided through the Individualized Education Program process.